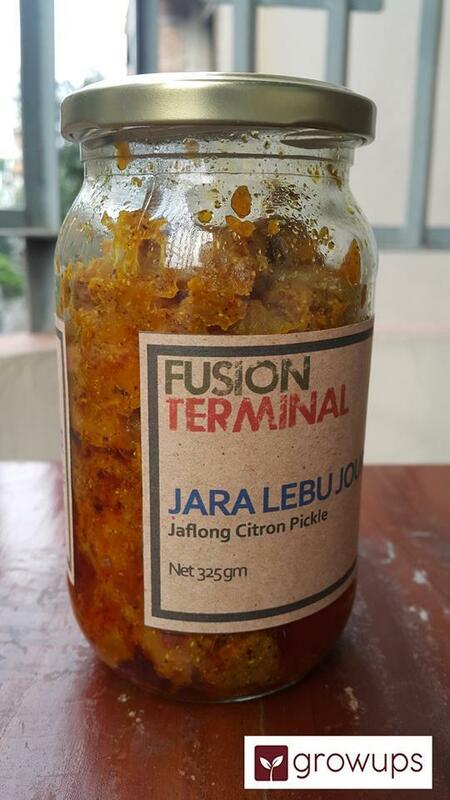 This is our Citron pickle. This variety of citrus fruit is found in the Sylhet region. Each of these magnificent fruits weighs around a kilo or so. The rind is very thick and it is what you use from this fruit. And it is not very bitter. When turned into pickle, the fleshy part of the skin becomes buttery. 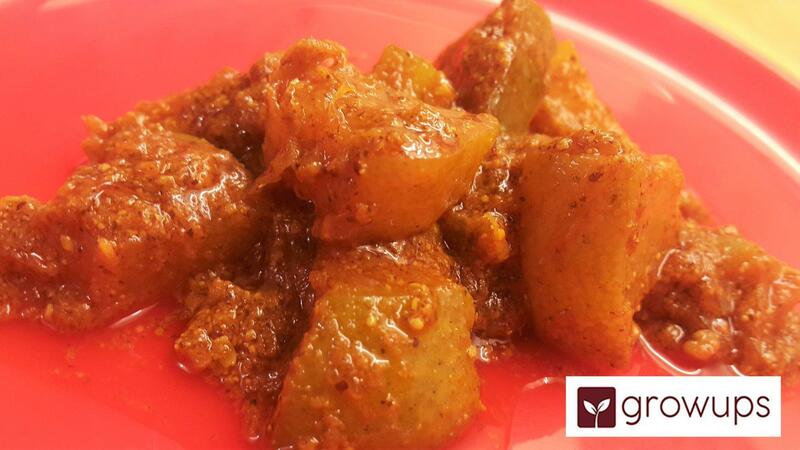 The taste is savory with an undertone of bitterness that you expect from lemon pickle.